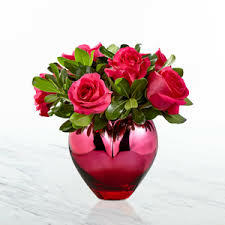 Love is in the air this Valentine’s Day! 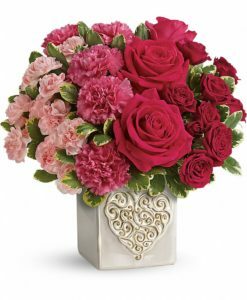 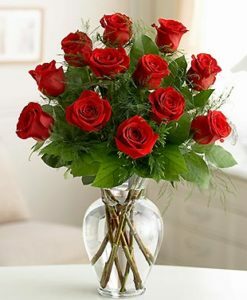 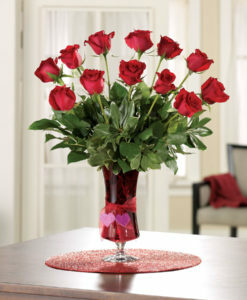 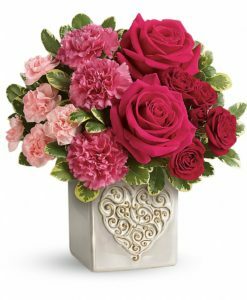 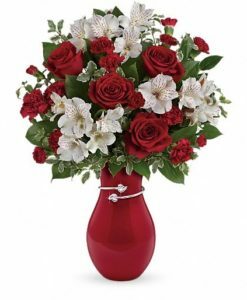 The FTD® Love You XO™ Bouquet by Hallmark is the perfect way to celebrate the loves in your life, whether it be your sweetheart, a favorite family member, or your best friend. 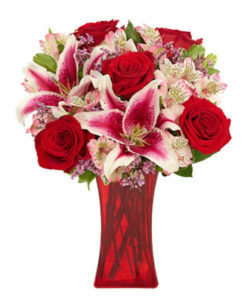 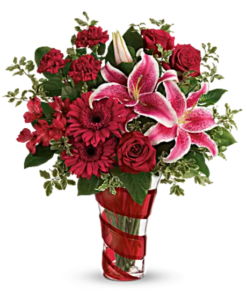 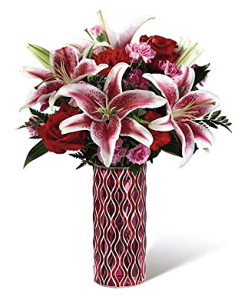 Pink Asiatic Lilies capture their attention with their large star-shaped blooms set against a blushing backdrop of red roses, red mini carnations, hot pink carnations, hot pink gilly flower and lush greens. 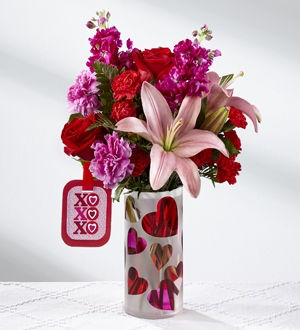 Arranged with a loving hand within a keepsake frosted glass vase with a pink and red heart design throughout, this Valentine flower bouquet is presented with a Hallmark tag that reads, “Love You!” on one side and, “XO, XO, XO,” on the other to create a beautiful way to celebrate love this coming February 14th.